I used to have a job that took me there twice a year and I loved every minute of it, I couldn’t get enough. When I share my affinity for the state with people up here in the beautiful Pacific Northwest, I’m often met with some questionable looks. Some people just require an explanation and if you’re one of those people, here you go. This is why I love Texas: the food (fish tacos are one of my favourite things), the music (best in the world), and the people (genuine, kind, chivalrous and completely unpretentious). Texas rules. Like all my previous trips, this trip was because of business. I received full funding to attend the AFP International Conference in San Antonio, a conference for fundraisers, communicators and non-profit leaders. 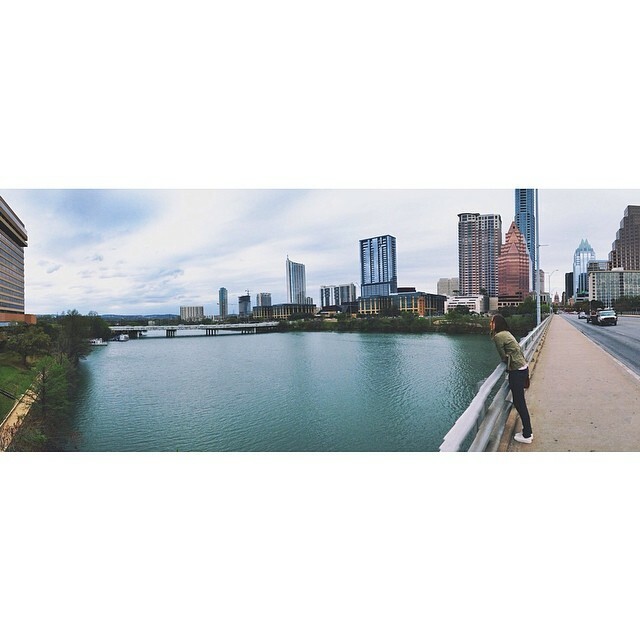 My boyfriend Kurt decided to tag along and then join me for a few days in one of my favourite places, Austin. Upon our Saturday evening arrival in San Antonio, Kurt and I had the chance to walk the Riverwalk (I loved it in a Vegas-y kind of way, he was less impressed) and have some mediocre fish tacos at Maria Mia’s. As of Sunday morning, I was in full on conference mode, all but forgetting I even had a boyfriend– though considering all the Spurs and NCAA tickets in his pockets, I think he was just fine without me. My conference partner in crime was my real life friend Margo, the Executive Director of the incredible YPSN, an inspiring Victoria charity. It was great to have someone to bounce ideas off of and regroup with in between sessions, not to mention enjoy a night out with. 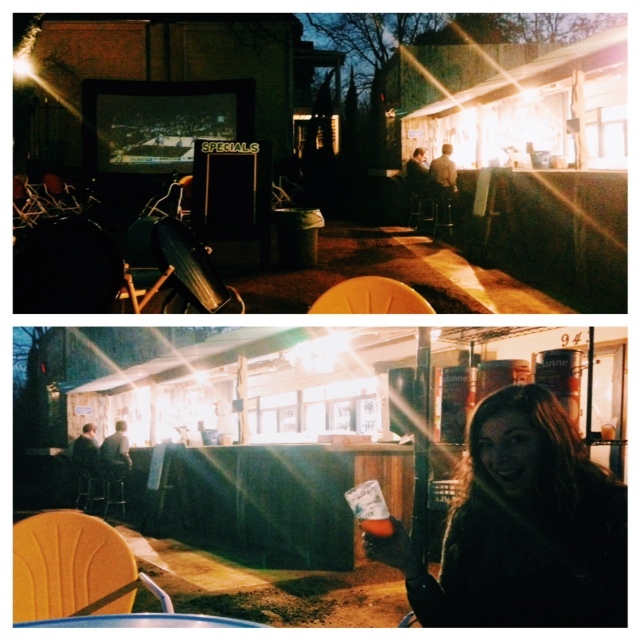 On Monday night Margo and I managed to muster up the energy and get out for a beer at The Friendly Spot, an outdoor trailer-turned-bar complete with the Spurs on a big screen and fun playground for the kids. Indeed it was a very friendly spot. I imagine this place is one the best spots in town on a nice summer night. For dinner we walked across the street to Rosario’s for the best margarita and fish tacos that I had my entire time in Texas. This place was great–and recommended to us by a lot of locals for the best food off tourist path. When the conference wrapped up on Tuesday afternoon, I remembered my long lost boyfriend and met up with him for some San Antonio exploration. 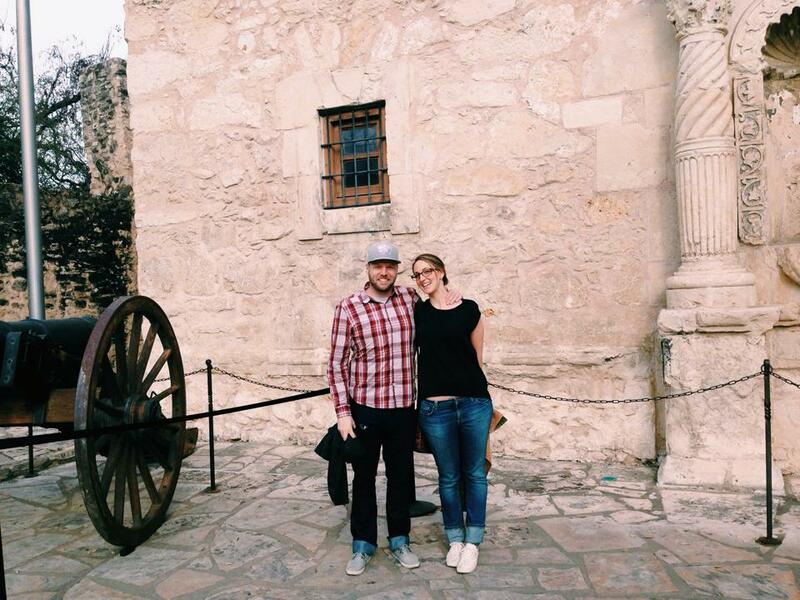 We wandered around The Alamo, a San Antonio must-see. Being Canadian I know very little about US/Texan history, but we met a great young Mexican guy who gave us the serious low down. If you’re interested you can look it up on wikipedia, but it was adorable to see his passion and it goes to show that it pays to ask probing questions. For our last night in town, Kurt and I went to Bohanan’s for an incredibly disappointing dinner. The prices were ridiculous, the service was terrible (despite the fact we had 2 servers and a server’s assistant) and the room was set up like it was the home of a Southern slave owner. It was gross and weird. Avoid this place unless you’re into that kind of thing. To be fair though, the food was pretty great. Wednesday morning we were on to Austin for four straight days of smiling, eating, exploring and eating again. It was great from start to finish. 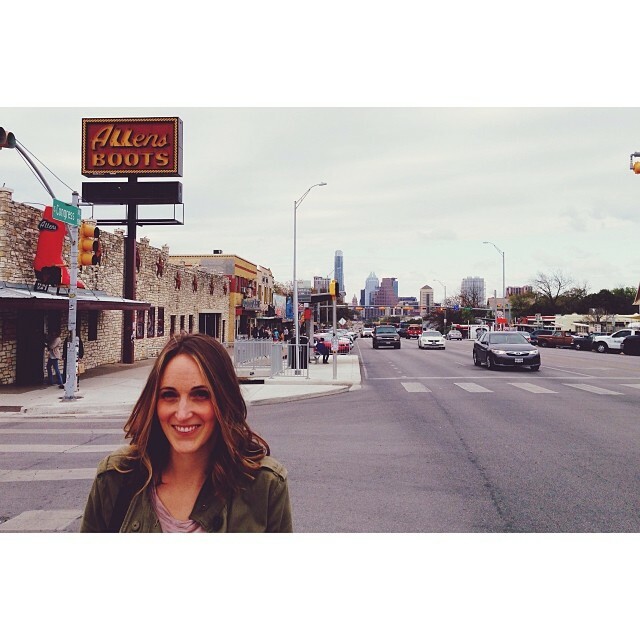 On our first night there, Kurt and I started off on the best street in Austin–South Congress–with dinner at Lucky Robot. This is a very good, very atypical sushi restaurant that also has a great happy hour and serves the best brussel sprouts I’ve ever eaten. We met up with Margo and her friend Jackie (who also came to Austin for little Texan fun) and headed up the street to The Continental Club to see my friend Christian and hear the Hot Club of Cowtown, a super fun gypsy swing/country band. 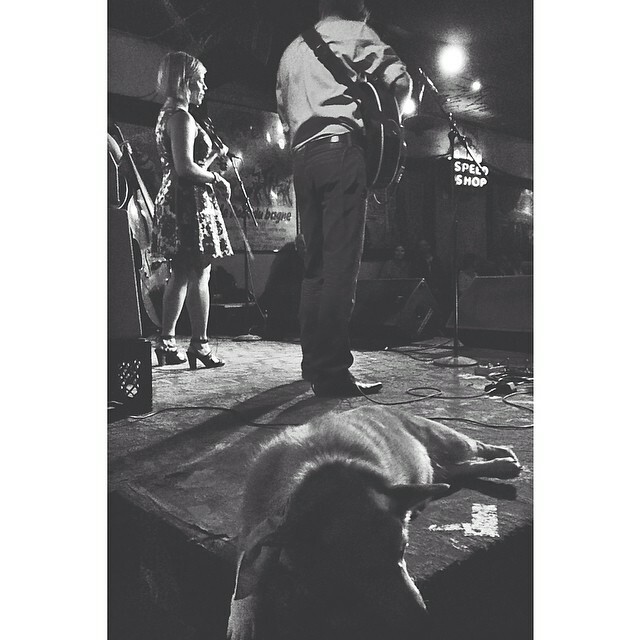 They have a corgi who hangs out on stage when they play and word on the street is, the singer used to have a thing with Dylan (as in Bob). After this Kurt, Margo, Jackie and I headed to East 6th St, another great street to hang out on (not to be confused with 6th St E….seriously). We had some great cocktails at East Side Showroom and then the time of our lives at The White Horse. For real. The four of us just sat there with these big dumb grins on our faces loving the country music and the dancing. We didn’t even order drinks, we just sat there being big dorks. Such glaringly obvious tourists. It was almost 2am by the time we made it back to our hotel, totally unheard of for me but totally worth it. 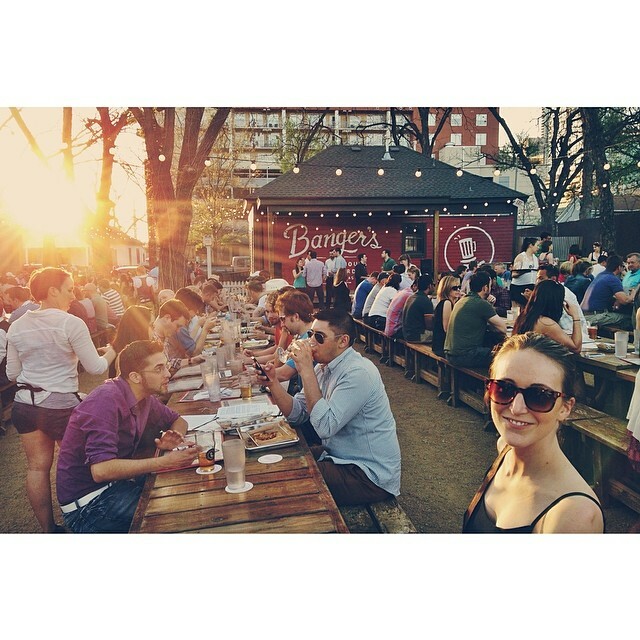 The next three days in Austin meld into a hot, sunny and delicious blur in my mind. Kurt and I rented some very heavy bikes with inadequate brakes and rode around town. We swam in Barton Springs, the jury is still out as to whether that is gross or not. Either way it certainly was fun. We ate BBQ at Stubbs, it was all right but could have been better, says me, the 98% vegetarian. We did happy hour at La Condesa and it was the most amazing food ever….the corn….I died. We perused Rainey Street, a historical street filled with character homes turned bars, many seemingly on the verge of being torn down. We walked through many of the buildings, but ultimately chose to eat some great Indian food on Garage Mahal’s outdoor patio, followed by beer and ice cream at Banger’s. On what was or wasn’t the same night we made our way across town to see Second City Comedy, which was amazing. These guys aren’t permanent Austin fixtures, so if they come through your town you should definitely check them out. We wrapped up our trip with lunch with my friend Christian at Curra’s with some pretty delicious and authentic Tex Mex. So good. And that was that, my week away in Texas. You really should go there when you get the chance. PS….hotels book up fast and can be pricey so book early on AirBnB for the best places to stay. Food and drinks are ridiculously affordable. I’d tell you how much I spent but I failed to track my spending, though I assure you, it wasn’t bad at all. So awesome! I’ve been to Austin once and it was kind of a blur since it was a short trip, and I was supposed to be there this past weekend but didn’t have enough in my vacation budget to make it happen. 😦 I’ll bookmark this post in case I ever do go. I did eat at Stubb’s though! You’ve got to go back…I bet the fall would be great (not too hot). I seriously love that place, and I think you will too!